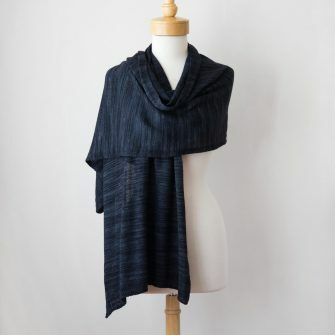 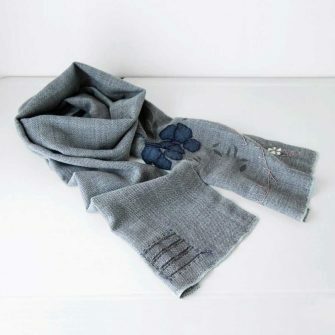 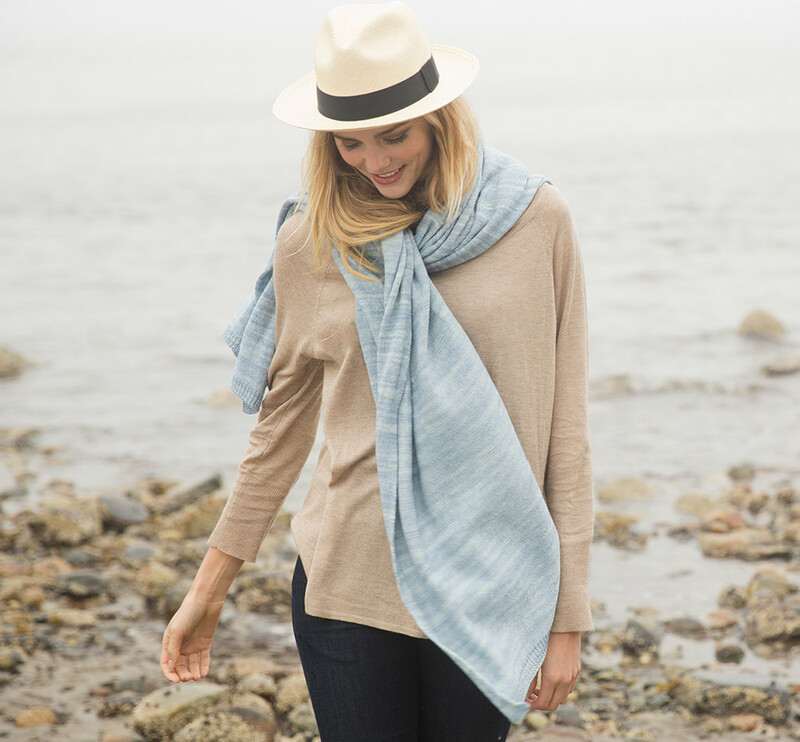 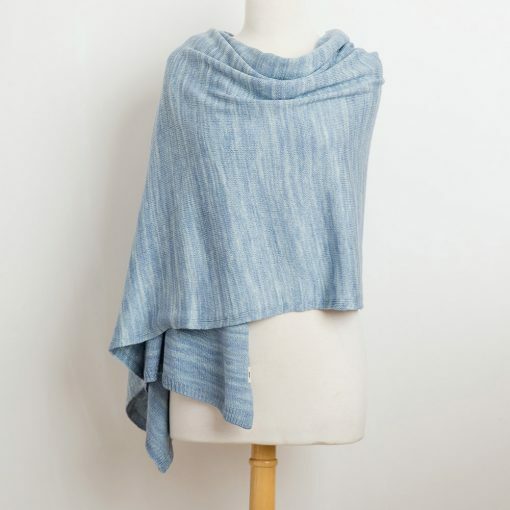 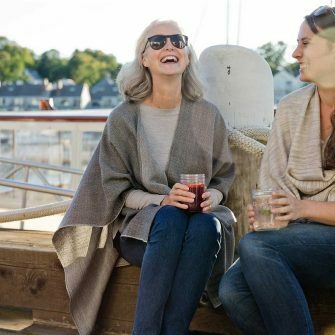 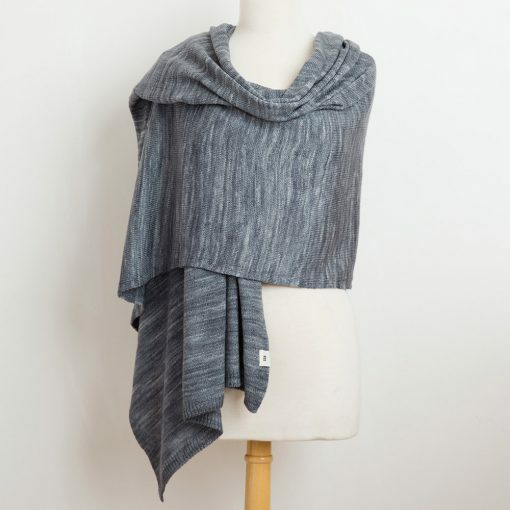 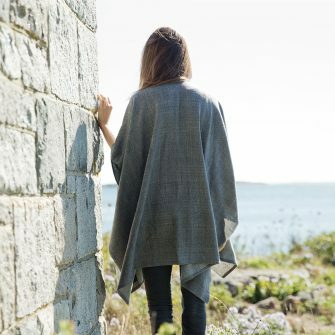 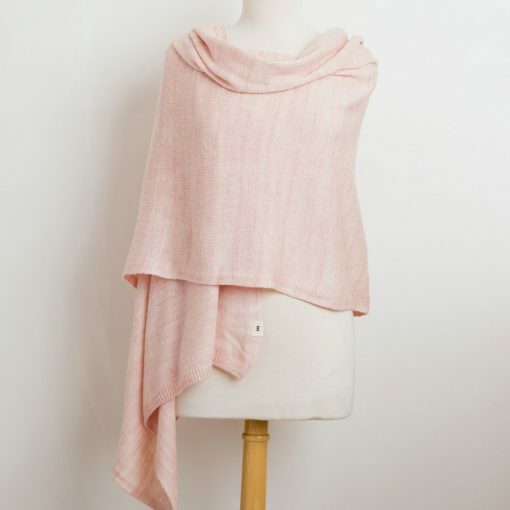 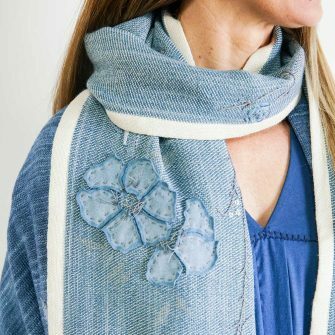 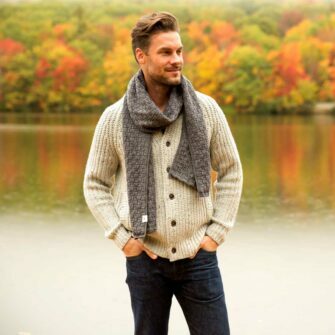 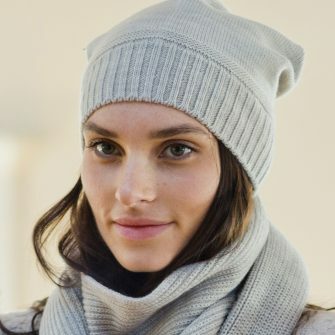 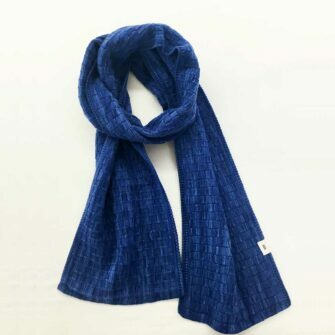 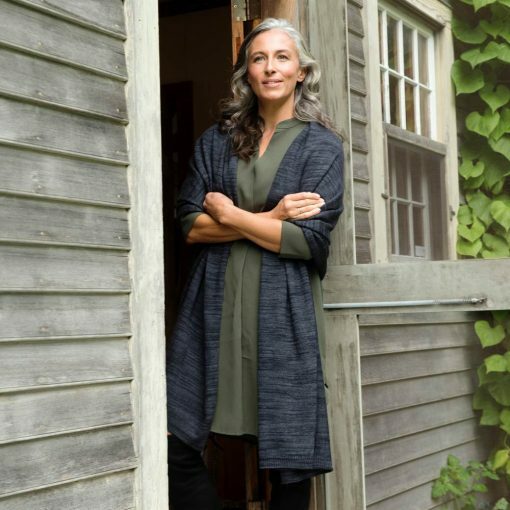 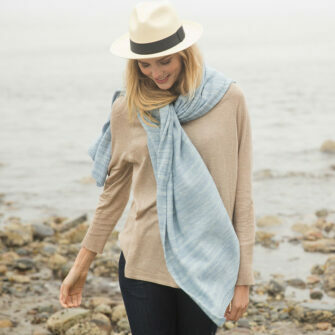 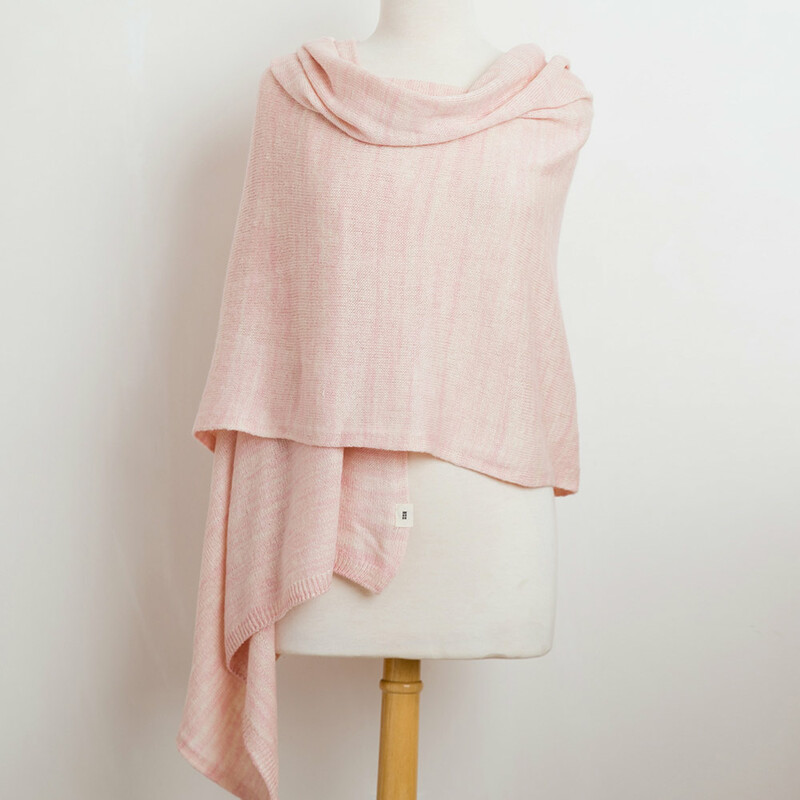 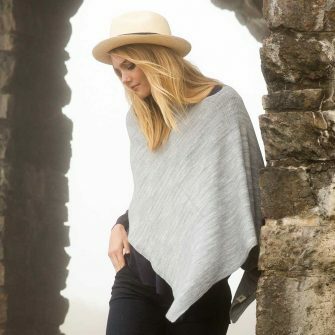 A versatile accessory across all four seasons, the airy, lustrous Kennebunk Wrap can be worn as a shoulder wrap or as a luxuriously cozy scarf. 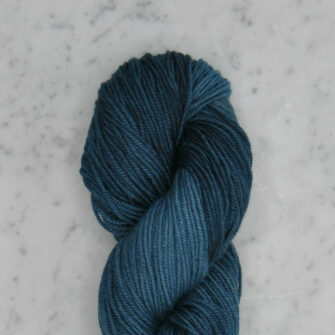 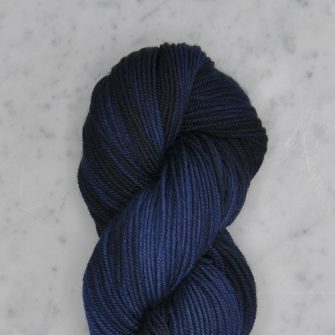 Each American-made wrap shines with the rich tonalities and subtle shimmer of our hand-dyed Merino wool and Tussah silk yarn. 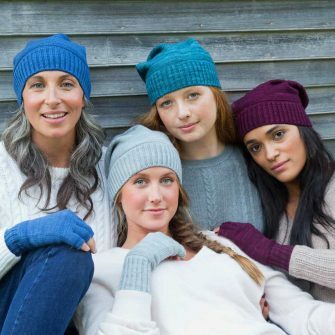 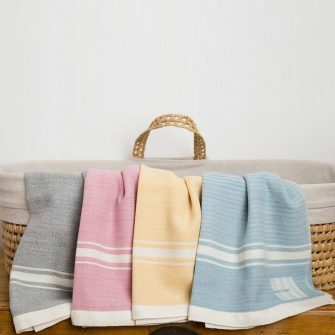 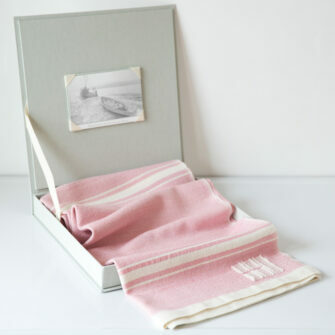 All of our knit accessories are designed and dyed by hand here in Maine, and crafted in the USA by small, family-run mills.